Internet marketing continues to evolve and advance at a blinding pace. Here are nine marketing tools and trends that can be useful to your current and near-term online business development efforts. Design: A well-designed, easy-to-use and visually appealing website will attract prospects and help convert them into customers. Good design and consistent marketing will favorably impress your customers and tell them you care deeply about all aspects of your business. Mobile devices: Smartphones, tablet computers and other mobile devices are flourishing. Connect with your customers on these mobile platforms to make use of an ever-growing technology and the demographic that uses it. Visual communication: Much of the information online is being transmitted visually, from infographics to drawings to the entire design and presentation of websites. Video: In tandem with an increase in visual media, video is also expanding as a marketing tool. Research indicates that messages transmitted by video are better remembered by viewers than print or static images. Multitasking on multiple screens: Your customers are likely to be using more than one screen-based device at a time. Design and deploy marketing that can be seen on all screens a customer might be looking at. Social media: The power of social media continues to grow, and it’s vital that your company join the trend. Use analytical tools and online trackers to help you extract useful information and better business value from your social media activities. Content: Relevant, useful and unique content is extremely valuable as a marketing tool and for ranking you higher in search engine results. Regularly provide new and interesting material on your blogs, social media sites and web pages. The cloud: Cloud-based tools improve marketing efficiency in areas such as search engine optimization, landing page testing and website analysis. Retargeting and remarketing: These techniques target potential leads who have abandoned an online shopping cart or left your website without a conversion. They send a follow-up email or present an additional message to give customers a reminder about your product’s benefits or another chance to convert. 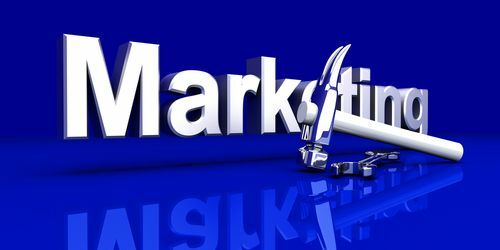 Which of these nine marketing tools do you think would give you the best and quickest results?